Vanishing Ink is Sydney’s premier laser tattoo removal clinic. Our business philosophy is simple and that is, to do one thing and to do it well – tattoo removal is all we do. We established Vanishing Ink in 2011 to provide a specialist tattoo removal service to Sydney and the Northern Beaches and we remain family owned and operated today. Since opening, we’ve performed more than 10,000 tattoo removal treatments on more than 1400 clients from all over Sydney and other parts of the state and country. If you have a tattoo that you are considering removing, it is very likely that we can show you progress or completion photos of a similar tattoo, on the same skin type and bodily location as yours. At Vanishing Ink, we won’t cut your hair, spray you a tan, laser your toenails or treat your wrinkles, but we will ensure that together we achieve your tattoo removal, modification or fading goals. At Vanishing Ink, the people who own the business run the business. That means that we care just as much about your final results as you do. We are committed to providing you with the latest techniques, procedures and advice, and are specialists in ensuring that your safety, comfort and results are delivered in a completely professional and private manner. We are fully trained and licenced to operate lasers in NSW and have attained dermal qualifications, laser safety certification and tattoo removal accreditation. We have also undertaken extensive manufacturer specific training for each of our lasers and have been accepted as full members of the Australian Medical and Clinical Laser Professionals (AMCLP) association. More importantly however, since establishing Vanishing Ink in 2011, we have performed more than 10,000 tattoo removal treatments on more than 1400 clients. With this degree of experience, you’re in great hands for achieving the very best tattoo removal, modification or fading results possible. At Vanishing Ink, we’re continually searching the world to find the latest and greatest in laser tattoo removal and comfort management technology. We’ve invested in two different lasers from Quanta (a high-end Italian manufacturer) to ensure that we can most effectively, efficiently and safely treat the full range of tattoos presented to us, whilst minimising both procedural discomfort and the possibility of scaring. 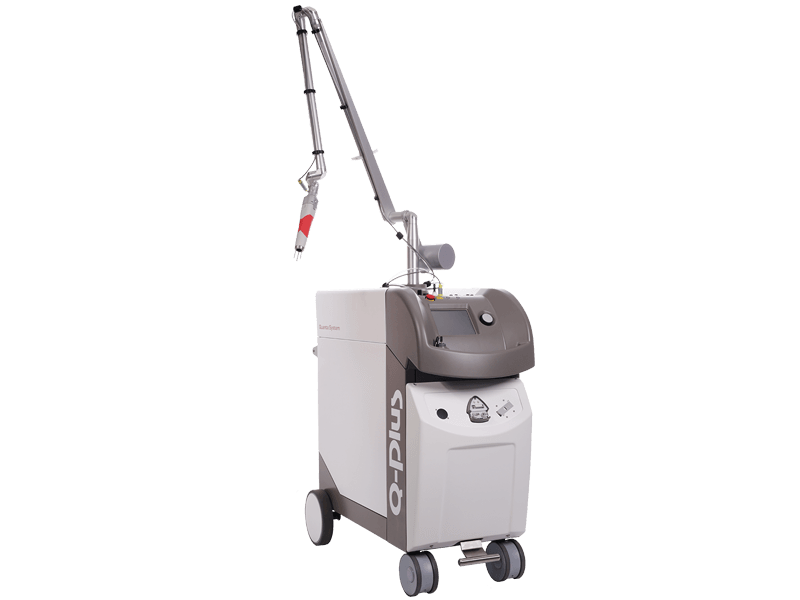 The workhorse of our clinic is the powerful Quanta Q+C laser. It operates at three different wavelengths, allowing us to treat all ink colours. Importantly, it contains the rare Ruby (694nm) wavelength, which is essential in removing the otherwise difficult, blue and green inks. The strength and speed of pulse of this laser, means that the targeted ink particles can be shattered quickly, thereby minimising any potential heat damage to surrounding tissue. This translates directly into a quicker and more comfortable treatment experience, reduced healing time, and greatly reduced chances of scarring. For enhanced results, we also use the Quanta YouLaser, which is an innovative mixed technology laser that emits both ablative and non-ablative fractional outputs. We’re proud to boast to be the first clinic in the world to use this laser on all clients, in combination with our Q+C laser. Not only does this laser reduce the likely number of treatments required to remove a tattoo, but it also significantly improves the aftercare experience. It is also an essential tool in helping to break down any scar tissue that may have developed during the application of the tattoo or through treatments elsewhere with an inferior laser or tattoo removal method. 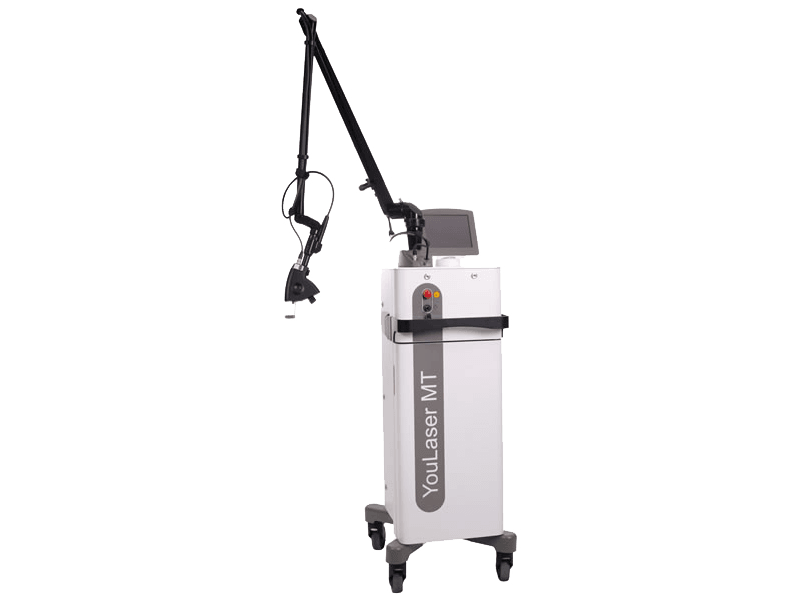 In these cases, the YouLaser ensures that the tattoo removal can be successfully completed and that the skin is left in a better condition than which it was originally presented. For comfort management, we use the Zimmer Cryo 6 cooling system, before, during and after the laser application. This system is specifically designed to minimise discomfort and thermal damage during laser and dermatological treatments, without interfering with the effectiveness of the laser. As well as eliminating about 90% of procedural discomfort, this system also extracts the heat from the treatment area, thereby minimising any localised swelling and improving the recovery time. When you partner with Vanishing Ink for laser tattoo removal, we guarantee you’ll love the results! If you complete the maximum number of likely treatments that we determine at your initial consultation and your tattoo ink is still visible, we will offer free additional laser tattoo removal treatments for a period of up to one year following your last paid treatment. Vanishing Ink is proud to offer complimentary radiation tattoo removal to cancer survivors. These small radiation therapy alignment tattoos are applied similarly to a ‘real’ tattoo, with the ink being embedded into the skin. Whilst these marks are usually only the size of a freckle, they can act as a constant reminder of a previous condition and have a huge impact on a survivor’s daily life. Fortunately, these tattoos can be completely removed using laser treatment, taking only a few minutes per session and usually requiring as few as one or two treatments. Come in for a free consultation and let us show you how we can leave you ink free, pain free and scar free. Our business philosophy is to do one thing and to do it well - tattoo removal is all we do! We are located in Dee Why, less than 20km from the CBD and amidst Sydney’s Northern Beaches.